Here’s a feasible solution to all your charging needs. Be it a phone or any gadget which charges from an USB source, you can use the below portable device to charge them while on the move. The power panel uses solar energy to charge your devices and provides up to 2 watts of power which can be transmitted through a USB port. It’s quite useful when you are on the move, or outdoors as in while camping or trekking. 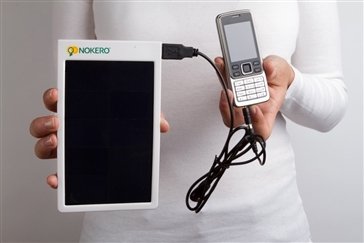 The device does away with the necessity of a power source and can be used by just leaving it outdoors to face the sun. 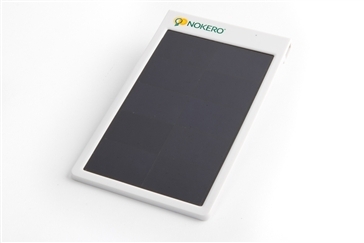 The device gives about 30% more energy when compared to other similar panels and is economicallypriced at $39. The USB port is compatible with many devices and the package also includes adapters for Sony, Nokia and Samsung phones (Do check out the supporting phone models on the product page). It however cannot be used for charging an iPhone, iPad or an iPod. The panel gives you a charge of up to 600mAh phone in 1.5 hours (Standard conditions) and consists of a durable ABS frame with dimensions of 6.9 in long, 3.9 in wide, 0.4 in thickness. It weighs just 84 grams and can be conveniently carried in your backpack. The device is recommended to be placed in direct sunlight and not behind a shade or a window. The Sun Ray Pro Power Panel (P102) is a perfect accessory especially while you are traveling as it gives an easy and optimum charge within no time. You can purchase the Sun Ray Power Panel (P102) by accessing the below link.You can also check their range of solar lights, rechargeable batteries and other chargers.